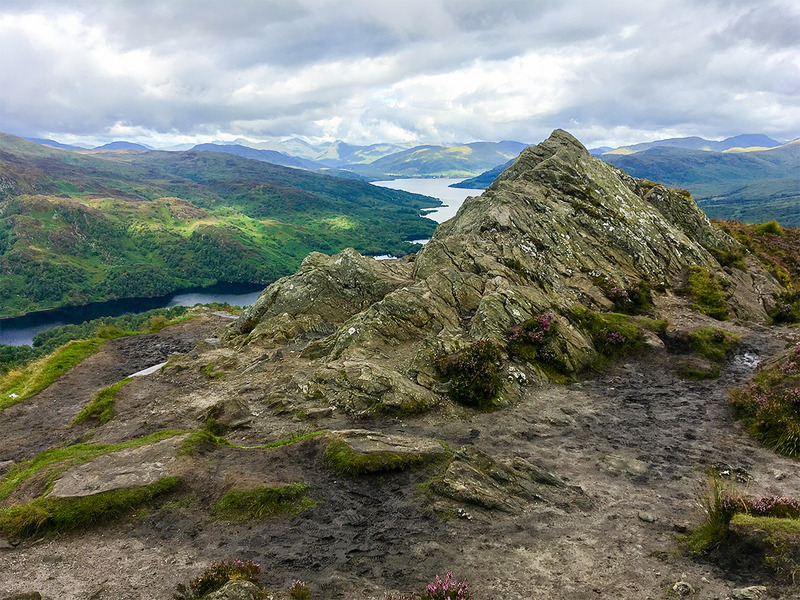 The hike up Ben A’an is a fun walk up what is commonly referred to as a mini mountain in Scotland. 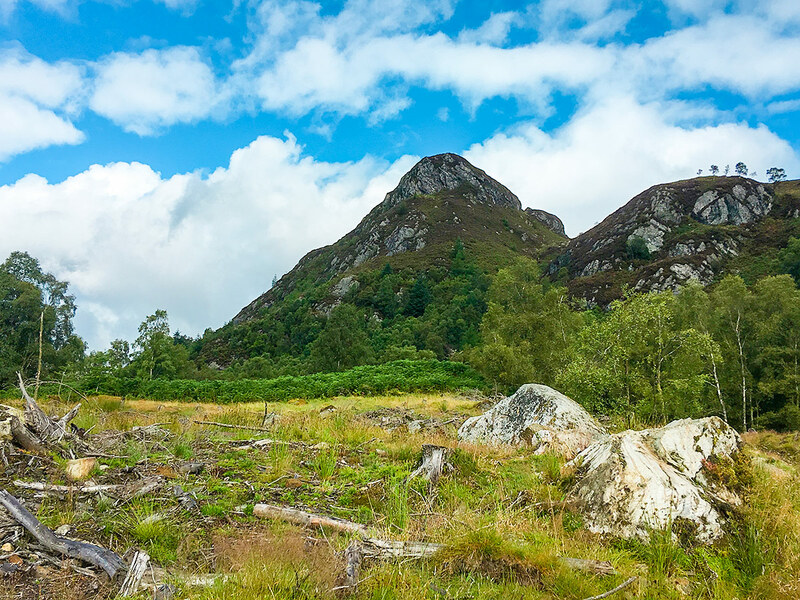 This walk offers superb views, a steep climb and, a picture perfect (mini) mountain. 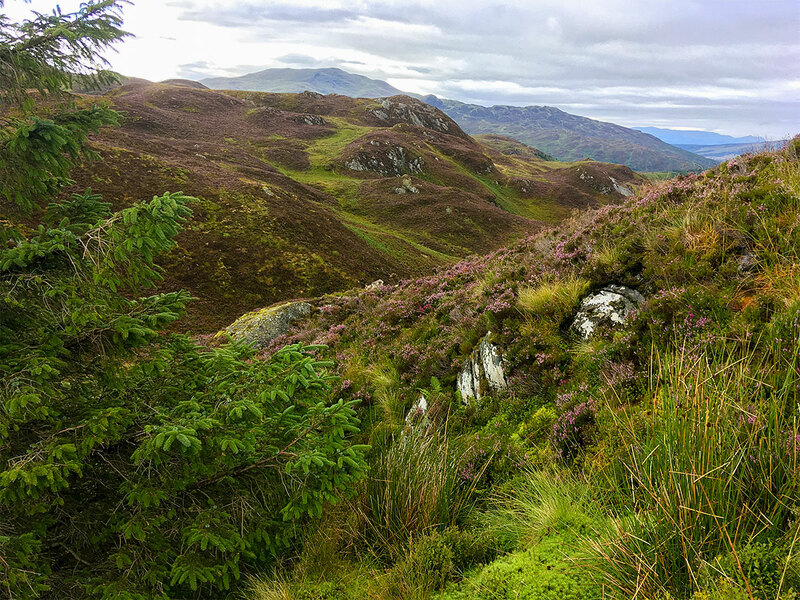 Views from the top are sensational due to its central position within the Trossachs. From Aberfoyle head North on the A821 towards Callander, after 9.7km, and a sharp right-hand bend, park at the Ben A’an car park. Car park costs £3 for the day. From the Ben A’an car park cross the main road to meet a rough track that heads steeply uphill. Approximately 50m further ahead, the track bends to the left. You’ll follow the signposted narrow footpath that continues ahead. The path climbs steeply via some wooden steps. 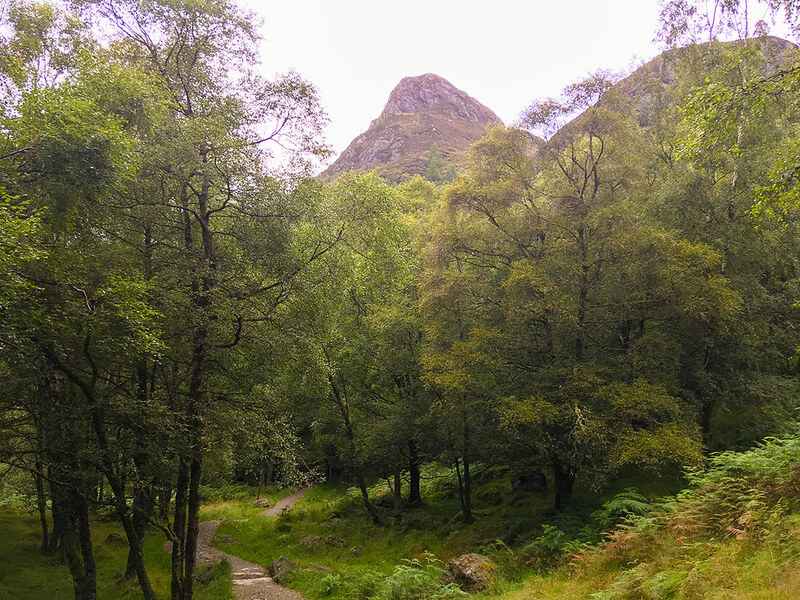 This hike provides tremendous views almost instantly, so don’t forget to turn back and look! 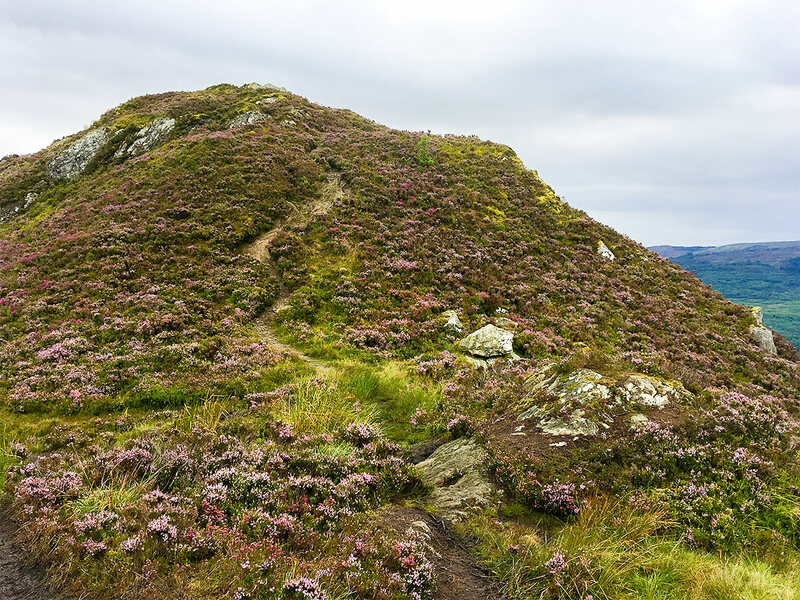 The footpath to the top is simple to follow. On the lower slopes the path follows a small stream before crossing it via a small wooden bridge. Then, before you know it, you’ll cross back via stepping-stones. 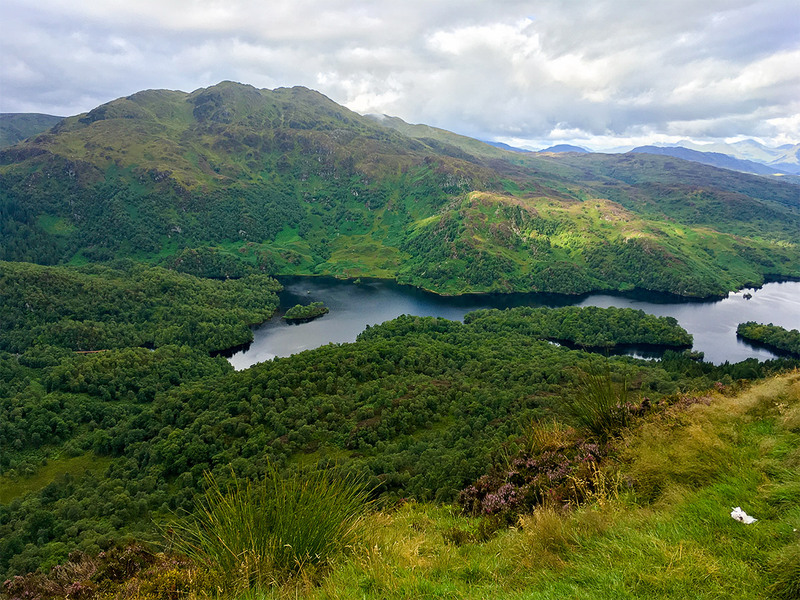 There are several good spots to stop and admire the views down to Loch Achray and ahead to the pointy summit of Ben A’an. Closer to the top the path swings to the left to begin the final ascent to the summit. 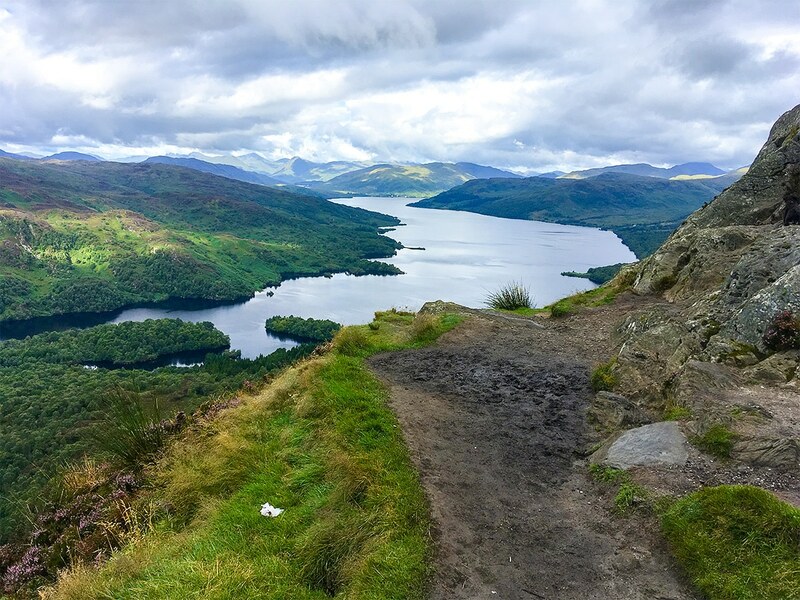 When the path bends around there is an excellent detour off to the right with views down to Loch Katrine to the west. The remainder of the climb is fairly gentle with only one short, rocky section to negotiate. 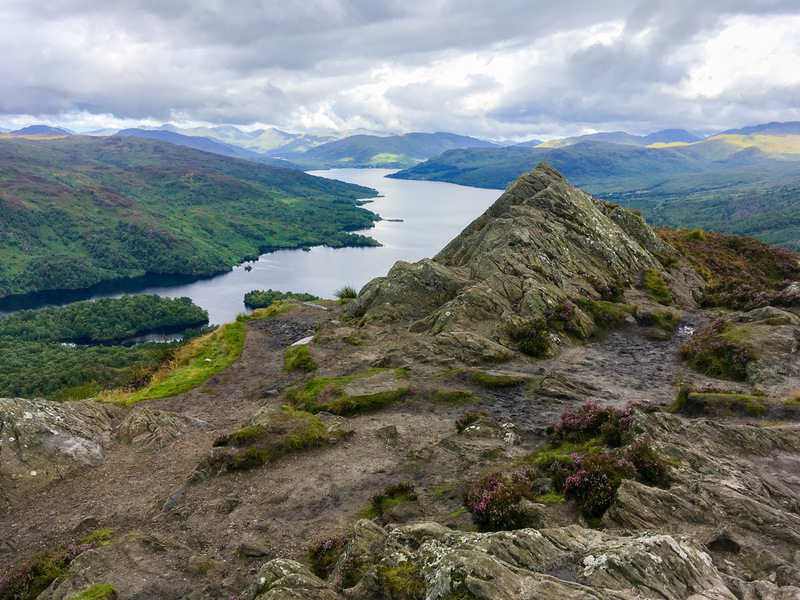 From the top the view is super; the length of Loch Katrine can be seen to the west with Ben Venue rising from its foot. Behind Ben venue, Ben Lomond can be seen in the distance. 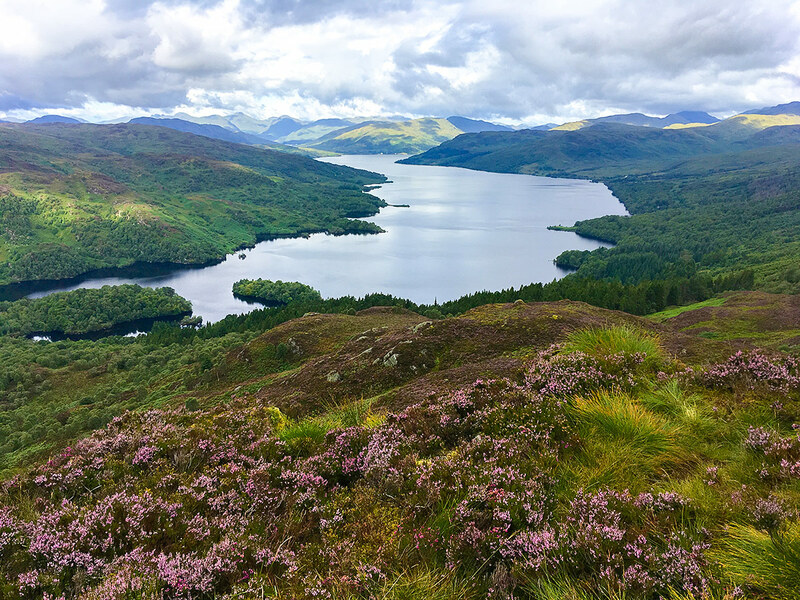 Loch Achray and part of Loch Venachar can be seen in the opposite direction. 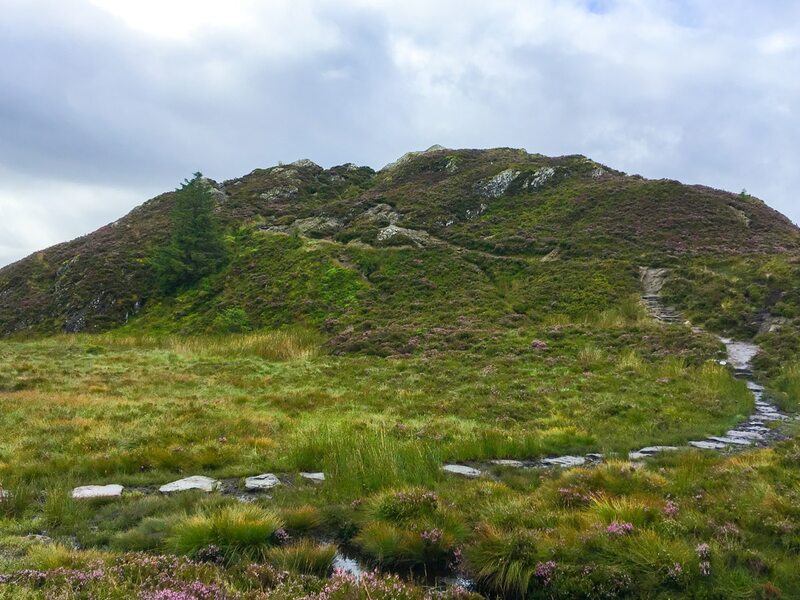 To return to the car park the best option is to retrace your ascent route; enjoy the views as you go! Bug repellant may be a good idea on a still summer’s day. It’ll allow you to fully enjoy the views at the top. The nearby Tigh Mor Trossachs is a stunning Victorian Building, now home to 76 holiday properties. You need to be a bond-holder to stay here, but it is spectacular! Head out early. We started walking at 8:30 a.m., at which point there was just one other car in the car park. Later, on the same day, the hill was absolutely swarming with people. It is a very popular hike! Look out for the goats!